Literary critics often attempt to uncover meaning in a single work of literature through careful reading and analysis. Applying natural language processing methods to aid in such literary analyses remains a challenge in digital humanities. While most previous work focuses on "distant reading" by algorithmically discovering high-level patterns from large collections of literary works, here we sharpen the focus of our methods to a single literary theory about Italo Calvino's postmodern novel Invisible Cities, which consists of 55 short descriptions of imaginary cities. Calvino has provided a classification of these cities into eleven thematic groups, but literary scholars disagree as to how trustworthy his categorization is. Due to the unique structure of this novel, we can computationally weigh in on this debate: we leverage pretrained contextualized representations to embed each city's description and use unsupervised methods to cluster these embeddings. Additionally, we compare results of our computational approach to similarity judgments generated by human readers. Our work is a first step towards incorporating natural language processing into literary criticism. We analyze the performance of different sentiment classification models on syntactically complex inputs like A-but-B sentences. The first contribution of this analysis addresses reproducible research: to meaningfully compare different models, their accuracies must be averaged over far more random seeds than what has traditionally been reported. With proper averaging in place, we notice that the distillation model described in arXiv:1603.06318v4 [cs.LG], which incorporates explicit logic rules for sentiment classification, is ineffective. 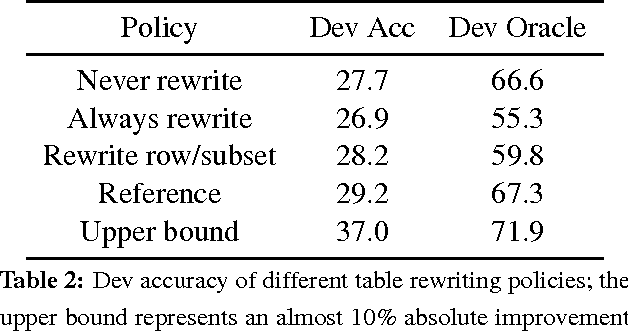 In contrast, using contextualized ELMo embeddings (arXiv:1802.05365v2 [cs.CL]) instead of logic rules yields significantly better performance. 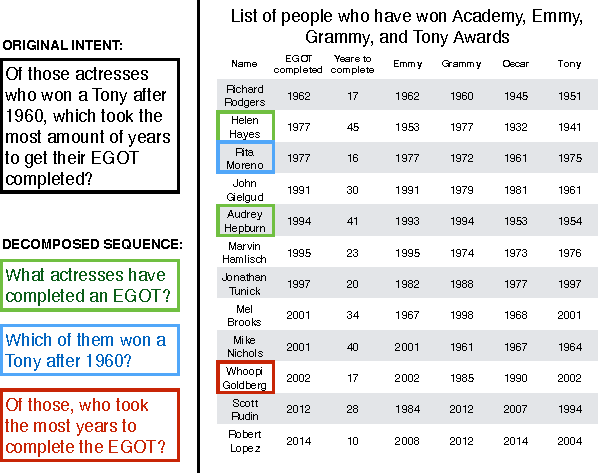 Additionally, we provide analysis and visualizations that demonstrate ELMo's ability to implicitly learn logic rules. Finally, a crowdsourced analysis reveals how ELMo outperforms baseline models even on sentences with ambiguous sentiment labels. Methods for learning word sense embeddings represent a single word with multiple sense-specific vectors. These methods should not only produce interpretable sense embeddings, but should also learn how to select which sense to use in a given context. We propose an unsupervised model that learns sense embeddings using a modified Gumbel softmax function, which allows for differentiable discrete sense selection. Our model produces sense embeddings that are competitive (and sometimes state of the art) on multiple similarity based downstream evaluations. However, performance on these downstream evaluations tasks does not correlate with interpretability of sense embeddings, as we discover through an interpretability comparison with competing multi-sense embeddings. While many previous approaches perform well on downstream evaluations, they do not produce interpretable embeddings and learn duplicated sense groups; our method achieves the best of both worlds. We introduce deep inside-outside recursive autoencoders (DIORA), a fully-unsupervised method for discovering syntax that simultaneously learns representations for constituents within the induced tree. 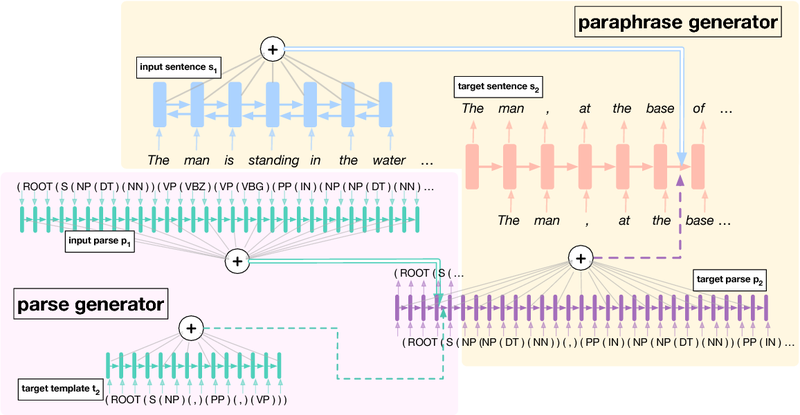 Our approach predicts each word in an input sentence conditioned on the rest of the sentence and uses inside-outside dynamic programming to consider all possible binary trees over the sentence. At test time the CKY algorithm extracts the highest scoring parse. 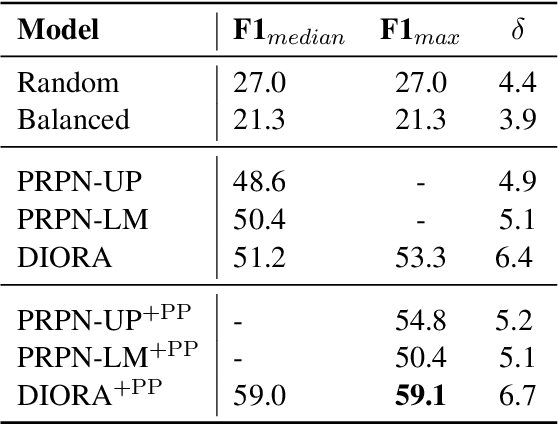 DIORA achieves a new state-of-the-art F1 in unsupervised binary constituency parsing (unlabeled) in two benchmark datasets, WSJ and MultiNLI. 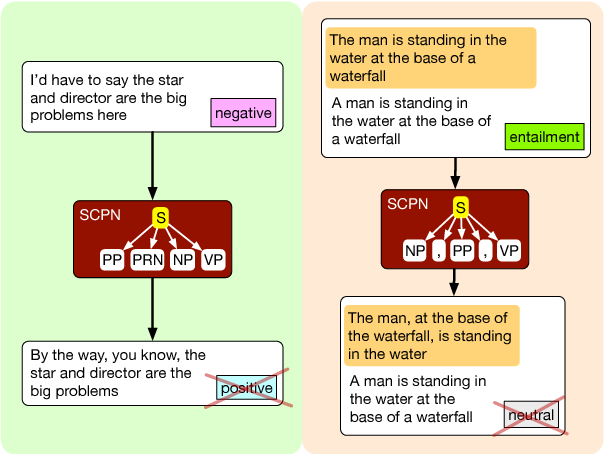 We propose syntactically controlled paraphrase networks (SCPNs) and use them to generate adversarial examples. Given a sentence and a target syntactic form (e.g., a constituency parse), SCPNs are trained to produce a paraphrase of the sentence with the desired syntax. We show it is possible to create training data for this task by first doing backtranslation at a very large scale, and then using a parser to label the syntactic transformations that naturally occur during this process. Such data allows us to train a neural encoder-decoder model with extra inputs to specify the target syntax. 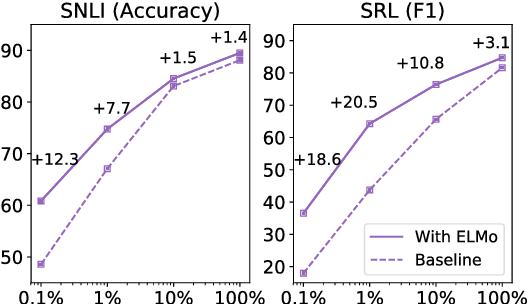 A combination of automated and human evaluations show that SCPNs generate paraphrases that follow their target specifications without decreasing paraphrase quality when compared to baseline (uncontrolled) paraphrase systems. Furthermore, they are more capable of generating syntactically adversarial examples that both (1) "fool" pretrained models and (2) improve the robustness of these models to syntactic variation when used to augment their training data. Recent work in semantic parsing for question answering has focused on long and complicated questions, many of which would seem unnatural if asked in a normal conversation between two humans. 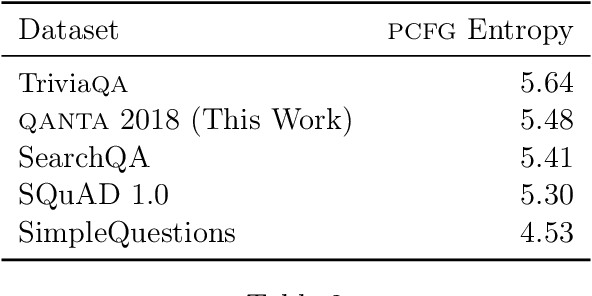 In an effort to explore a conversational QA setting, we present a more realistic task: answering sequences of simple but inter-related questions. We collect a dataset of 6,066 question sequences that inquire about semi-structured tables from Wikipedia, with 17,553 question-answer pairs in total. Existing QA systems face two major problems when evaluated on our dataset: (1) handling questions that contain coreferences to previous questions or answers, and (2) matching words or phrases in a question to corresponding entries in the associated table. We conclude by proposing strategies to handle both of these issues. Quizbowl is a scholastic trivia competition that tests human knowledge and intelligence; additionally, it supports diverse research in question answering (QA). A Quizbowl question consists of multiple sentences whose clues are arranged by difficulty (from obscure to obvious) and uniquely identify a well-known entity such as those found on Wikipedia. Since players can answer the question at any time, an elite player (human or machine) demonstrates its superiority by answering correctly given as few clues as possible. We make two key contributions to machine learning research through Quizbowl: (1) collecting and curating a large factoid QA dataset and an accompanying gameplay dataset, and (2) developing a computational approach to playing Quizbowl that involves determining both what to answer and when to answer. Our Quizbowl system has defeated some of the best trivia players in the world over a multi-year series of exhibition matches. Throughout this paper, we show that collaborations with the vibrant Quizbowl community have contributed to the high quality of our dataset, led to new research directions, and doubled as an exciting way to engage the public with research in machine learning and natural language processing. Automatic colorization is the process of adding color to greyscale images. We condition this process on language, allowing end users to manipulate a colorized image by feeding in different captions. We present two different architectures for language-conditioned colorization, both of which produce more accurate and plausible colorizations than a language-agnostic version. Through this language-based framework, we can dramatically alter colorizations by manipulating descriptive color words in captions. One way to interpret neural model predictions is to highlight the most important input features---for example, a heatmap visualization over the words in an input sentence. 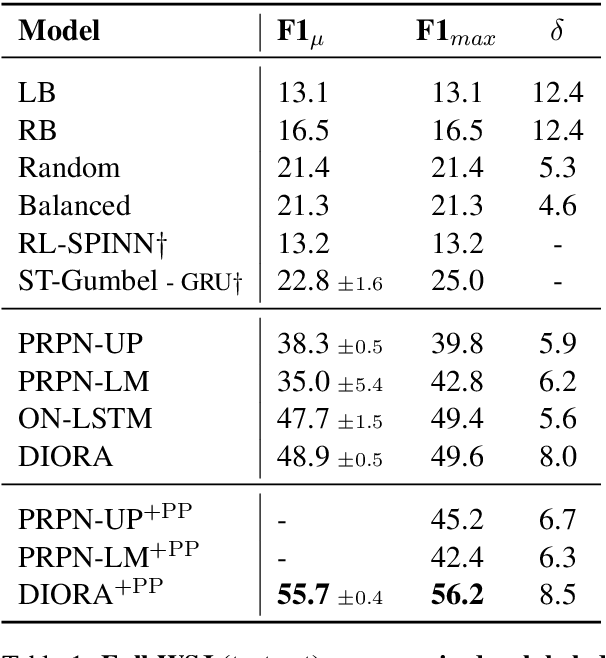 In existing interpretation methods for NLP, a word's importance is determined by either input perturbation---measuring the decrease in model confidence when that word is removed---or by the gradient with respect to that word. To understand the limitations of these methods, we use input reduction, which iteratively removes the least important word from the input. This exposes pathological behaviors of neural models: the remaining words appear nonsensical to humans and are not the ones determined as important by interpretation methods. As we confirm with human experiments, the reduced examples lack information to support the prediction of any label, but models still make the same predictions with high confidence. To explain these counterintuitive results, we draw connections to adversarial examples and confidence calibration: pathological behaviors reveal difficulties in interpreting neural models trained with maximum likelihood. To mitigate their deficiencies, we fine-tune the models by encouraging high entropy outputs on reduced examples. 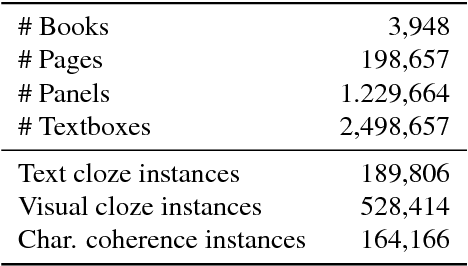 Fine-tuned models become more interpretable under input reduction without accuracy loss on regular examples. Visual narrative is often a combination of explicit information and judicious omissions, relying on the viewer to supply missing details. 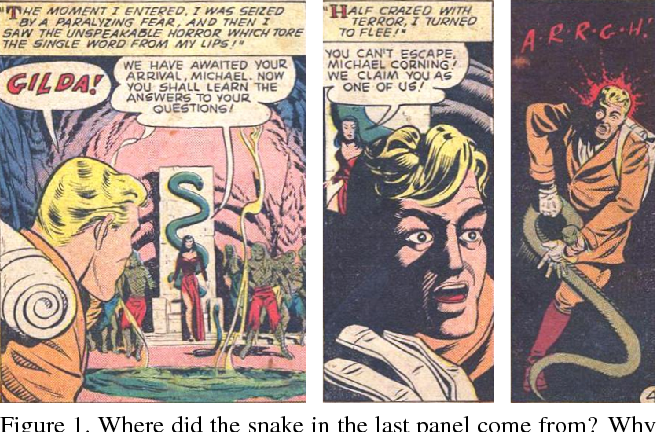 In comics, most movements in time and space are hidden in the "gutters" between panels. To follow the story, readers logically connect panels together by inferring unseen actions through a process called "closure". While computers can now describe what is explicitly depicted in natural images, in this paper we examine whether they can understand the closure-driven narratives conveyed by stylized artwork and dialogue in comic book panels. We construct a dataset, COMICS, that consists of over 1.2 million panels (120 GB) paired with automatic textbox transcriptions. 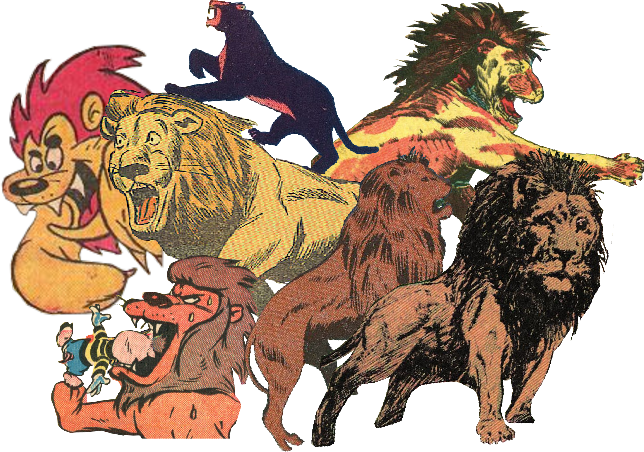 An in-depth analysis of COMICS demonstrates that neither text nor image alone can tell a comic book story, so a computer must understand both modalities to keep up with the plot. 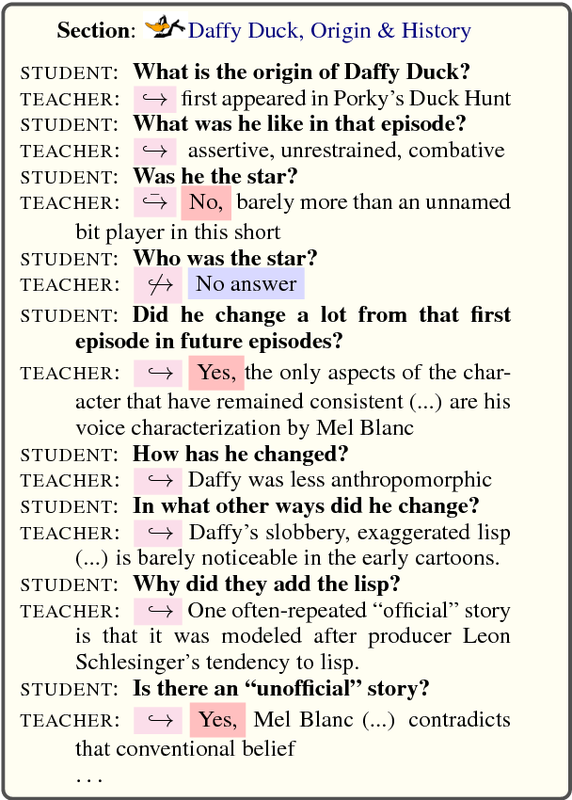 We introduce three cloze-style tasks that ask models to predict narrative and character-centric aspects of a panel given n preceding panels as context. Various deep neural architectures underperform human baselines on these tasks, suggesting that COMICS contains fundamental challenges for both vision and language. Most tasks in natural language processing can be cast into question answering (QA) problems over language input. 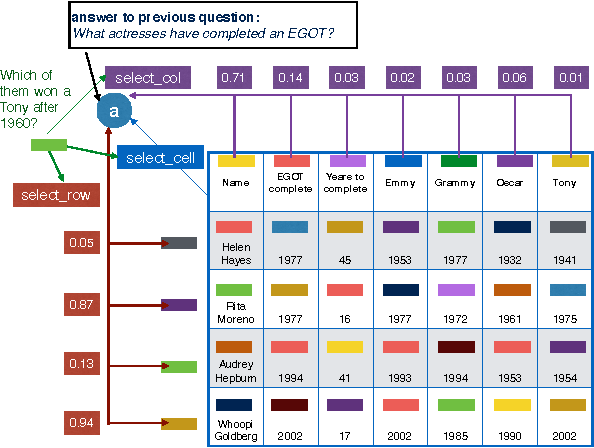 We introduce the dynamic memory network (DMN), a neural network architecture which processes input sequences and questions, forms episodic memories, and generates relevant answers. Questions trigger an iterative attention process which allows the model to condition its attention on the inputs and the result of previous iterations. These results are then reasoned over in a hierarchical recurrent sequence model to generate answers. The DMN can be trained end-to-end and obtains state-of-the-art results on several types of tasks and datasets: question answering (Facebook's bAbI dataset), text classification for sentiment analysis (Stanford Sentiment Treebank) and sequence modeling for part-of-speech tagging (WSJ-PTB). The training for these different tasks relies exclusively on trained word vector representations and input-question-answer triplets.